“If any beachcombers find themselves washed up in N1, Laki Kane could be their urban retreat. Kitsch, tropical paraphernalia coats every corner of this bijou bar, and tiki-style drinks are served in custom-made ceramics – our bartender told us they were already down to just five totem-shaped shot glasses in under a month of business. To satisfy light-fingered customers, one of the bar’s cocktails comes with a necklace you can keep (I doubt Islington has seen gap-year jewellery of this ilk in quite some time). Other gimmicks at this beachy-keen bar that I can totally get behind include tables named after far-flung resorts – we found ourselves marooned on Honolulu – each with its own bell. You push a button that syncs up with watches worn by Hawaiian-shirted bar staff. Trust me: this is not a mirage. There’s also a mostly on-point music policy of upbeat Caribbean rhythms, although ‘Don’t Worry, Be Happy’ was a cheesy step too far. 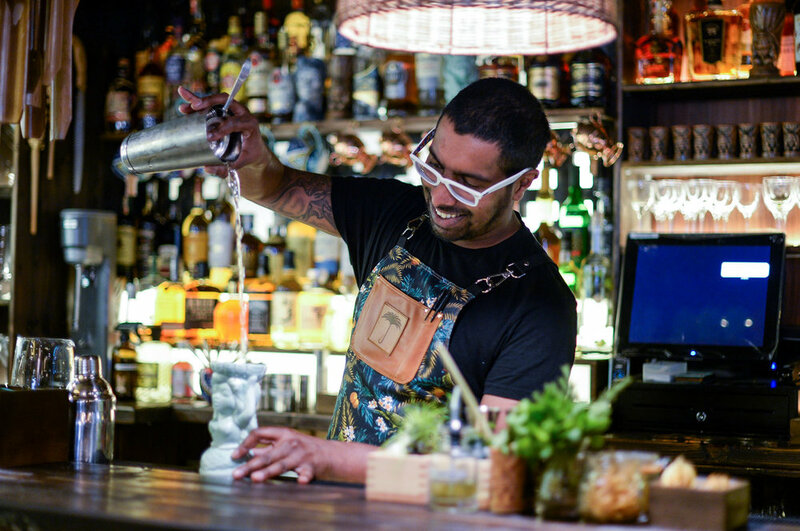 The theme may be laid on factor-50 thick, but there’s some substance to back it up in the form of a rum-heavy cocktail list put together by co-owner Georgi Radev, a former Mahiki bar manager. Desert island drinks included a Laki Lambo, blending agricole rum, cognac and blood orange Cointreau with a pineapple foam given the sort of charred, sugary topping you’d lap up on your crème brûlée.